All right, fine. Maybe germs are real after all. I don’t even want to talk about it. And I totally had a second chance to watch grown-up Fantasia (following the unfortunate fire alarm incident from a while back) and ended up leaking from my eyeballs as the conductor flipped out during the grand finale, urging the orchestra to play just a few beats longer. Stravinsky, you have my heart. Use it wisely. But let’s talk gardens. Because mine is in bloom and I want yours to do the same thing. Gardening has everything to do with food. In a few months, I’ll be making kale chips up the wazoo. Zucchini quiche like nobody’s business. And herbs will always be fresh. 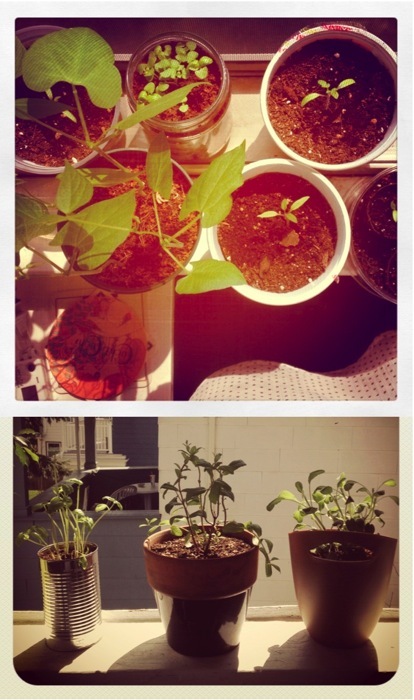 I know very little about gardening, other than the few tidbits I’ve picked up from blogs, friends and trial-and-error. The best advice I can give you is to love your seedlings. Keep their soil moist. Keep them warm. They love the sun (more than you do). And, most of all, don’t be bummed if you have to let some go. Not all of them will make it through the first few weeks of life. It happens. Plant s’more! And always, always get excited when they first start to sprout. They need all the encouragement they can get. In the meantime, keep on baking things with peanut butter. I’m super obsessed with ramekins. It…might be intervention time. 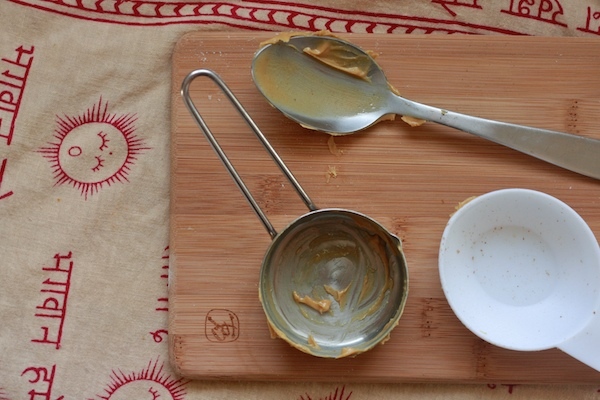 Yeah, okay, I know, I’ve made a lot of peanut butter things lately. Live with it. Preheat the oven to 350 degrees Fahrenheit. Grease a 9×13 bread baking pan and set aside. In a medium bowl, fluff the flour, baking soda, salt, flax and spices with a fork. In a large bowl, whisk bananas, peanut butter, melted butter and sugars until the peanut butter is fully incorporated. Whisk in the eggs one at a time, making sure that everything is mixed before adding the next. 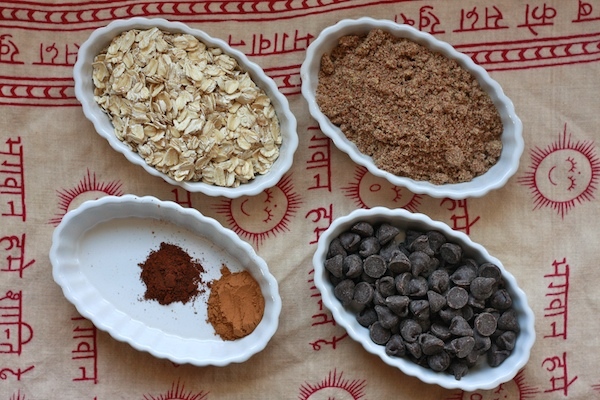 Fold the wet ingredients into the dry before adding the chocolate chips and oats. Pour batter into the prepared pan and bake for an hour (it may take more time), or until a toothpick comes out clean. 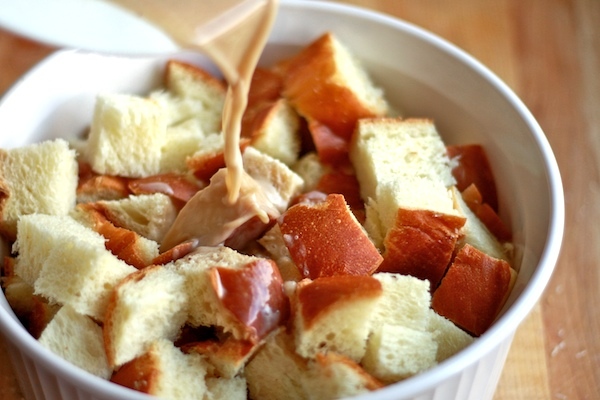 Makes 1 pan of bread, good enough for about a week of sweet, delectable breakfast. If having a glass of double I.P.A. and a bag of chocolate covered pretzels at a refurbished independent movie theatre isn’t the epitome of sophistication, then I simply don’t know what is. Maybe listening to Terry Gross interview Jay-Z and be completely out of her element? “What do you mean by ‘H to the izzo?’,” she asks, inquisitively. 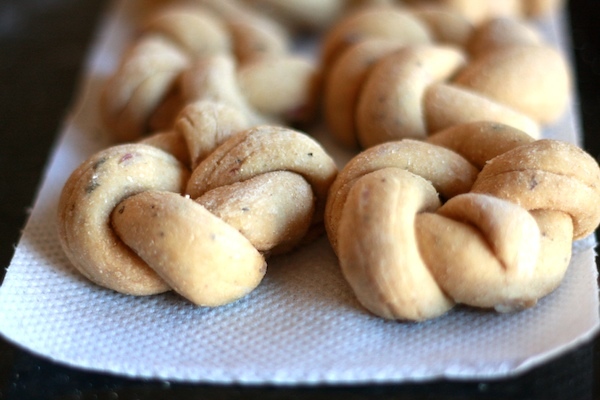 Or tying ropes of dough into knots to make budding rolls? I’m flipping out. Painfully adorable. These need to be enjoyed right away: warm and soft. 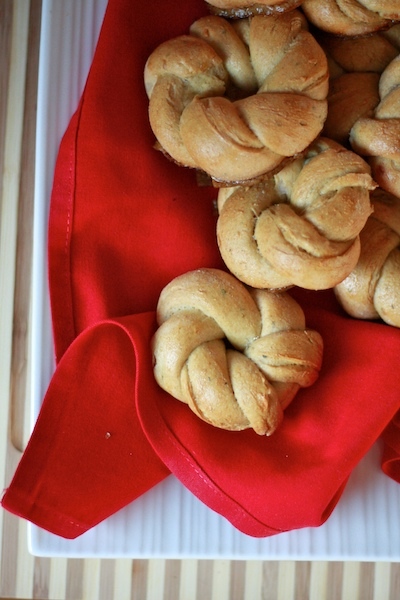 Whole Wheat Herbed Dinner Rolls. Adapted from Milk & Honey. Warm the butter, milk, salt, onion, and seasonings in a small skillet until butter is just melted. Add to half of the flour in a medium bowl with the yeast and egg. Mix until all of the ingredients are thoroughly combined. 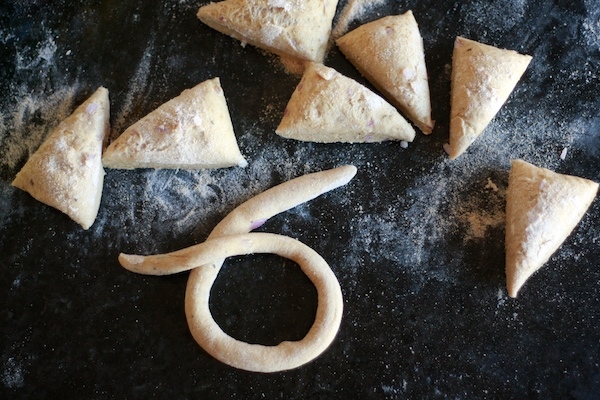 Place the (sticky) dough on a flour surface and add the rest of the flour while continuously kneading. Once all of the flour has been added, knead for about 10 minutes until a small, firm ball forms. Cover with a damp cloth and let rise for about 2 hours, until the dough is airy and soft. 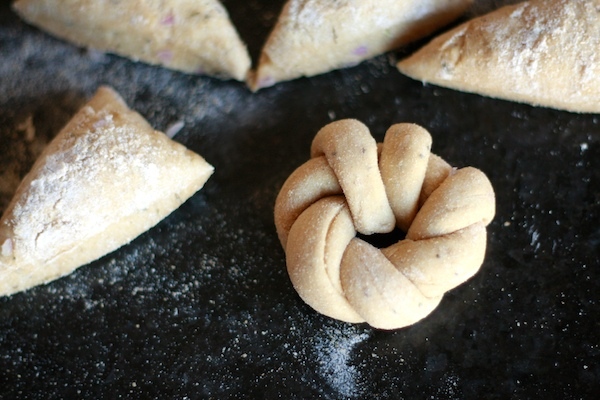 On a lightly floured surface, cut the dough into 8 equal pieces and roll each into a rope. Tie a normal knot then tuck the excess rope around until it forms a small bud. Repeat for all 8 pieces. 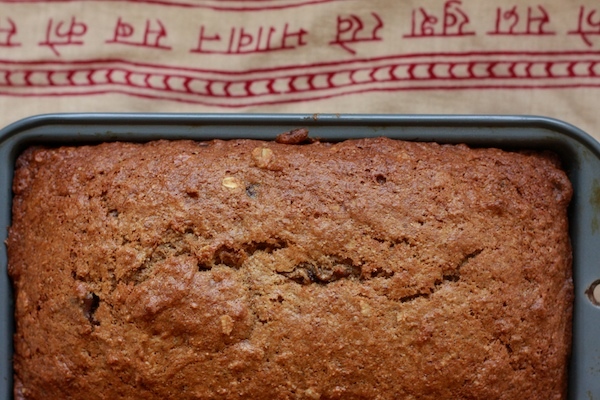 Place on a baking sheet and cover with a damp cloth, letting rise until plump and soft. 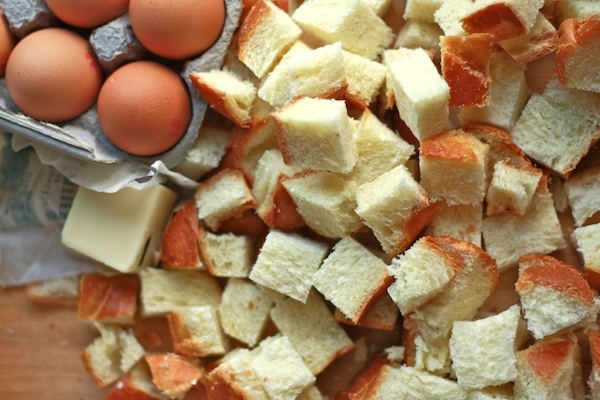 Using the set aside egg, brush each of the rolls just before putting in the oven. Bake for 15 minutes until the tops are golden brown. I’m not talking about the fall-down-the-stairs-and-run-into-your-elementary-school-crush-while-your-teeth-fall-out dream, because those are for rookies. Sissies. Baby dreamers. I’m talking about dreams like the one I had last night. You know, the complicated, heavily symbolic, outlandish, silly and pretty creepy dream. I was backpacking in a landscape that resembled Hawaii, New Zealand, and France. On the hike were peninsulas that each had one of my childhood homes: the apartment, the townhouse, the cookie-cutter. Once I climbed my way through these empty structures, I was smack in the middle of a parade. With gigantic corrugated metal elephants and sharks as floats. Ashton Kutcher was there. Taking pictures of girls with his Nikon camera. I was shooting with my Canon and all of my photos were underexposed. I told him I had to finish my hike, but he said that the last peninsula was snowed out. 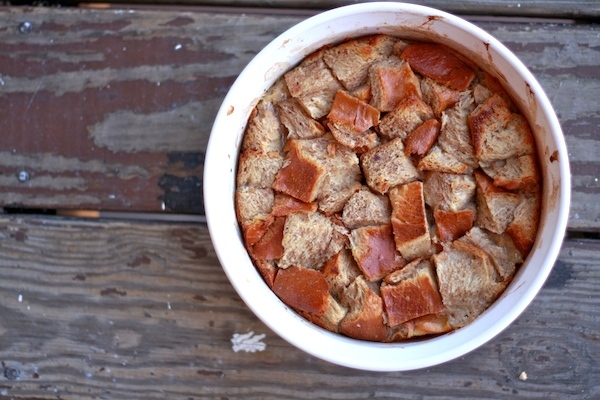 And made this simple, frou-frou-less bread pudding. I thought about adding bananas or apples, but didn’t want to risk dreaming about apple ice capades and Leonardo DiCaprio singing in a banana suit. Remember that Banana French Toast? This is the same challah bread. It’s been in the freezer, waiting for its inevitable demise in my tummy. Elephant-shaped sugar? Come on, subconscious. Give me a break. You can make it with the frou frou. I’m down with the frou frou. Just not today. 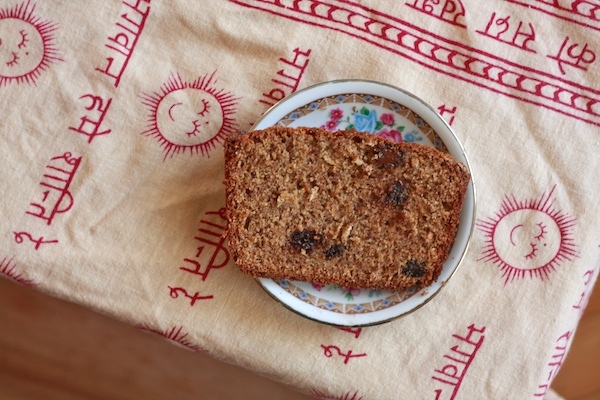 Some raisins and walnuts would be awesome. 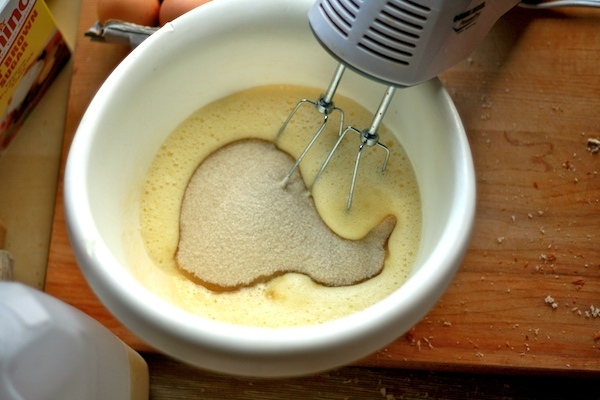 Whisk the eggs until bubbly and frothy – about three minutes on high speed with a hand mixer. Add the butter, sugar, spices, and vanilla, and mix until well incorporated. Lightly whisk in the milk. Butter a deep 9-inch, round baking dish (or, if you want small portions, butter a muffin pan) and throw in the bread. Add the liquid mixture and press down on the bread until all of the pieces are soaked. Let sit for 30 minutes, pressing the bread every 10 minutes. Place the pudding into the oven and immediately lower temperature to 300 degrees Fahrenheit. Bake for 40 minutes. Turn up the heat to 425 degrees Fahrenheit and bake for another 20 minutes. The top should be brown and slightly crispy. Let cool for about half an hour. Eat. Live simply. Dream big.